Immigration to Canada - AfriCanada.com Canada Foreign Skilled Worker Immigration Program - AfriCanada Consulting Inc.
One of the main goals of Canada skilled worker program is to motivate foreign skilled workers and professionals who will contribute to Canada’s growing economy. Skilled workers and professionals are greatly needed in Canada. Federal Skilled Worker applications are assessed based on an applicant’s ability to become economically established upon immigration to Canada. Successful applicants of the Canada Skilled Worker Immigration programs will receive a Canadian Immigration (permanent resident) Visa, allowing the applicant to immigrate to Canada with his or her family. As a skilled worker or professional, you have several options to consider. For example, you may be eligible to apply under Canada’s Federal Skilled Worker Class or, if your intended destination is in Quebec, the Quebec Skilled Worker Program may be the pathway for you and your family, if applicable. Moreover, if you know in which province or territory you plan to reside, you may be able to submit an application through one of the Provincial Nominee Programs. As of January 1, 2015, Federal Skilled Worker applications are being processed through the Express Entry System Selection System. Express Entry is a selection system for Canadian immigration, designed to select skilled workers for immigration to Canada. 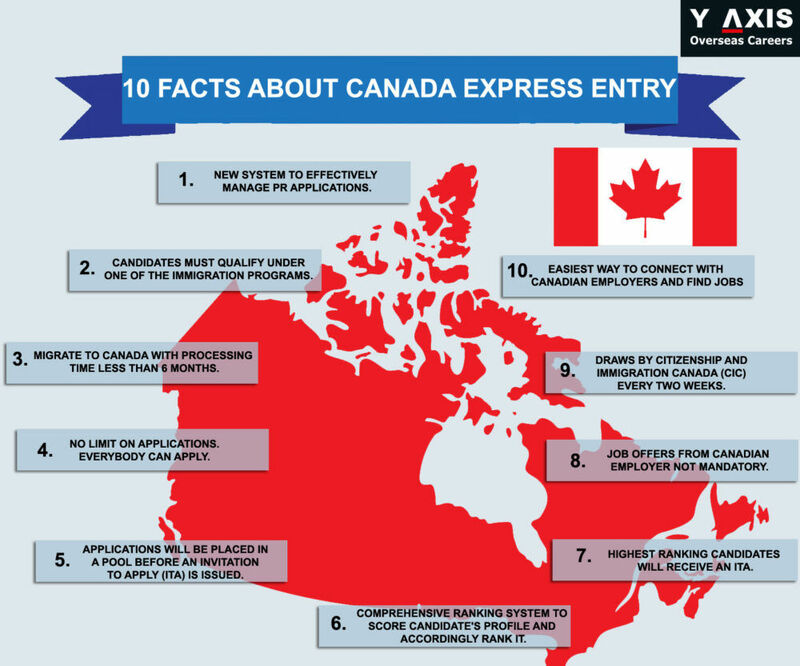 CLICK & READ: Express Entry is a completely electronic process involving the federal government, provincial governments, and Canadian employers. Candidates eligible under the Federal Skilled Worker Class must first make an expression of interest in immigrating to Canada by creating an online Express Entry profile. Below, you will find the links to those programs for you to explore. IRCC (or “we” for the remainder of this page) uses selection factor points to help assess your eligibility for the Federal Skilled Worker Program. IRCC will assess your selection factors and assign an overall score out of 100. 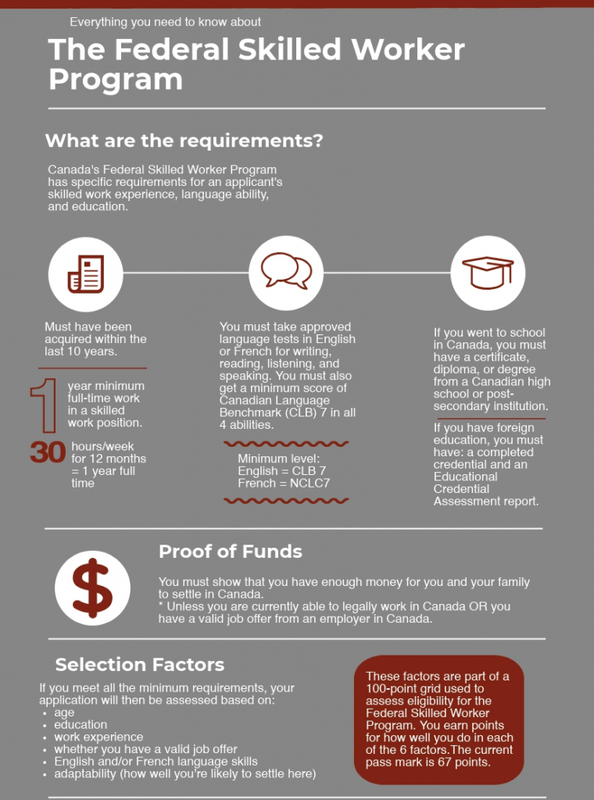 If you score 67 points or higher, you may qualify for the Federal Skilled Worker Program. If you meet the other requirements too, you can submit a profile to the Express Entry pool. 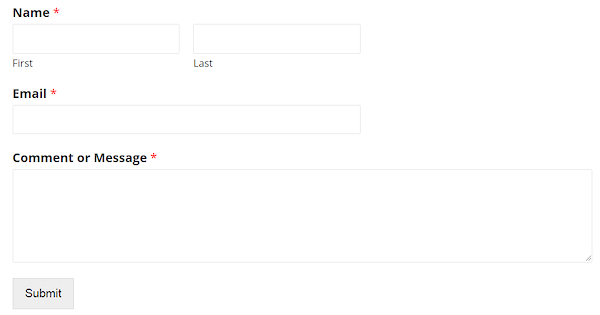 Once you’re in the Express Entry pool, we use a different system to rank your profile. The following table represents the government of Canada’s Multi-Year Immigration Plan beginning 2018 and ending in 2020. This table includes a comparison with 2017 targets. To find out if you are eligible for one of these Canadian immigration programs, please fill out a free assessment form.